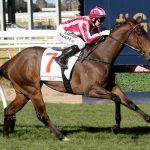 There would be few more deserving winners of a stakes race than classy Sebring sprinter Supido who finally attained that goal in Saturday’s Group III MRC Sir John Monash Stakes (1100m) at Caulfield. The five year-old stallion was third in Black Heart Bart’s Group I Goodwood Handicap and also placed in the Group II Challenge Stakes at Randwick won by English. He came in to Saturday’s race with a first-up record of four wins and a second from six starts. Not everything went to plan in the run. With just two runners behind him on the home turn, Luke Nolen had to shoulder General Truce out of the way to set out after Daytona Grey who showed no sign of stopping under Claire Lindop. Once he had to some clear air, Supido knuckled down, reeling in a stubborn Daytona Grey to win the 1100 metre dash by three-quarter of a length. 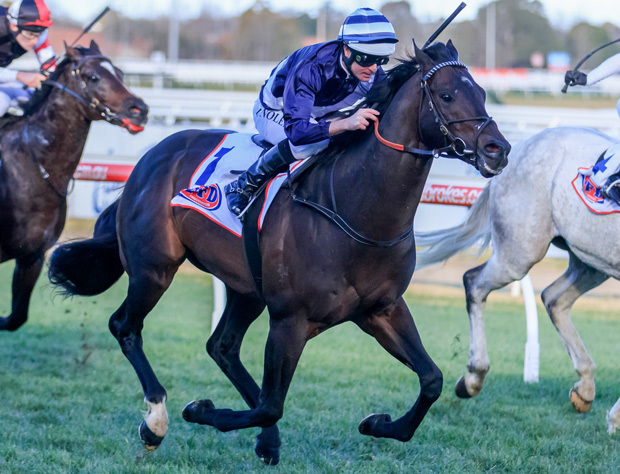 Trained by Mick Kent, Supido advances his overall record to seven wins from 13 starts with earnings of $471,150. “I think there is improvement in him but I think Mick Kent’s team has done a really good job,” Nolen said. 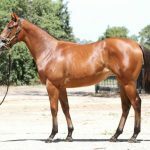 Bred by Rick Jamieson’s Gilgai Farm, Supido was a $190,000 purchase by his trainer from the Three Bridges draft at the 2013 Inglis Premier Yearling Sale. His dam Lady Succeed (JPN) is a daughter of the hugely successful Brian’s Time from a family nurtured by the Niarchos family’s Flaxman Holdings. Lady Succeed (JPN) has a weanling filly by Sebring, but sadly missed to him again last spring. Supido becomes the 31st stakes winner for Sebring who will stand at Widden Stud this spring at a fee of $66,000.